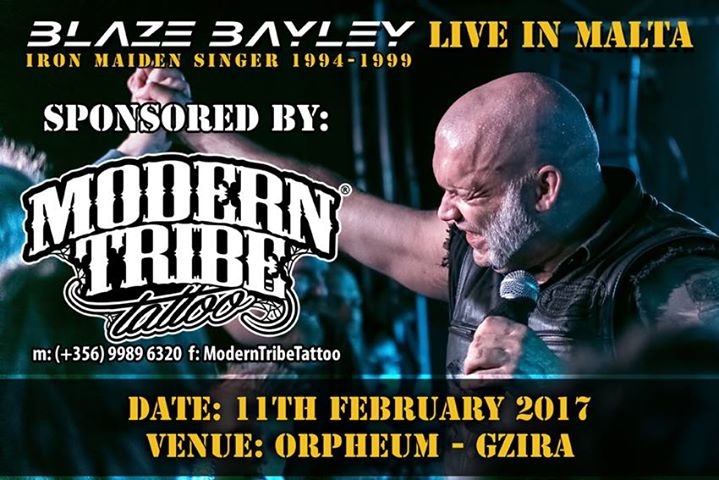 BLAZE BAYLEY - Former Wolfsbane and Iron Maiden Vocalist, and now as a solo artist will be performing LIVE in Malta on 11th February 2017. He had given an unforgettable performance with Iron Maiden in Malta in 1998 at Ta' Qali. We have arranged for a shuttle service that will leave from Manoel island,where there is ample car space to the venue and back against a small fee. Our official transport contractor is AIMS Transportation.Please call them on +356 77024092 ask for Matthew and he will give you the best quotes on the island specially for this event and special occasions. Kindly note that earlybird tickets are available till end of November.